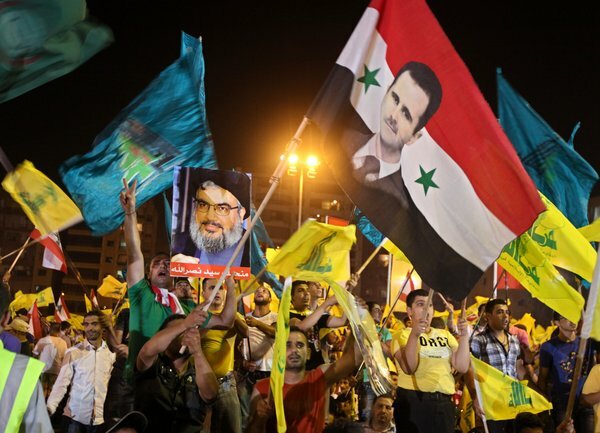 The media discourses and people’s everyday accounts increasingly talk of Hezbollah’s intervention in Syria in terms of “Shi’a against Sunna”, as well as the Jihadist Sunni armed groups fighting against the “Shi’a cosmopolitanism” – as defined by Shehabi and Tafreshi in 2006 – that includes Iran, Iraq since Nuri al Maliki’s mandate, Syria and Hezbollah’s Lebanon. Likewise, internationals engaged in the Syrian events have often called for the need to “protect” Syrian Christians and Syrian Alawites, by taking for granted what the concept of “minority” may indicate and, hence, by essentialising further this notion. In this moment of political history, I therefore find extremely helpful to dwell upon the way we conceive and deal with ethnic and religious “minorities” in the middle eastern scenario. Our moral duty, in the capacity of bloggers, researchers, journalists or whatsoever knowledge space providers, is not to pride ourselves on the fact that we had already predicted that a confessional strife or the oppression of a certain minority would have taken place, as though confessionalisation of violence and politics in the Middle East were an inescapable human phenomenon. Rather, the duty of knowledge collectors, producers and commentators is to recall the manipulative nature of such discourses. To adopt the rhetoric of any rule-and-divide power, either western or eastern, leads us to perpetrate the power dynamics we are purported to fight. Daniel Neep, scholar at the University of Exeter, exhaustively explains what social dynamics the divide-and-rule strategy, adopted by colonial as well as “native dictatorial” regimes, implies and deploys. In the hope that one day we will liberate ourselves from such rhetorics, may the following words raise historical and sociological awareness around these chronically simplified definitions. “Divide and conquer is a standard tactic in the colonial repertoire. Religious and ethnic diversity can be readily manipulated by foreign powers, which play minorities off against one another to prevent challenges to their rule. But the category of ‘minority’ is not a natural representation of an objective demographic reality. Instead, the worldwide appearance of ‘the minority’ in the early to mid-twentieth century is bound up with the processes of modern state formation which both divided those territories under colonial rule and moulded their populations into bodies politic whose social boundaries were now intended to be coterminous with political borders. ‘Minorities’ are neither primordial entities nor numerical facts, but a contingent social phenomenon, the existence of which deserves to be explained rather than taken for granted. French Mandate Syria (1920–46) provides an excellent case study to explore this line of analysis. Specifically tasked by the League of Nations with creating what would eventually be a modern, self-governing state, France found exploiting Syria’s communal diversity to be a useful means of keeping the natives occupied while it consolidated its control of the country. As the traditional historiography observes, minorities such as the Alawis, Druze, Ismailis and Christians were disproportionately represented in the colonial army, which helped maintain order among the Sunni Muslim majority. you’re using? I’m looking to start my own blog soon but I’m having a tough time making a decision between BlogEngine/Wordpress/B2evolution and Drupal. The reason I ask is because your design and style seems different then most blogs and I’m looking for something unique. write content to suit your needs? I wouldn’t mind creating a post or elaborating on a lot of the subjects you write in relation to here. Again, awesome blog! "... chi parte per Beirut e ha in tasca un miliardo..."